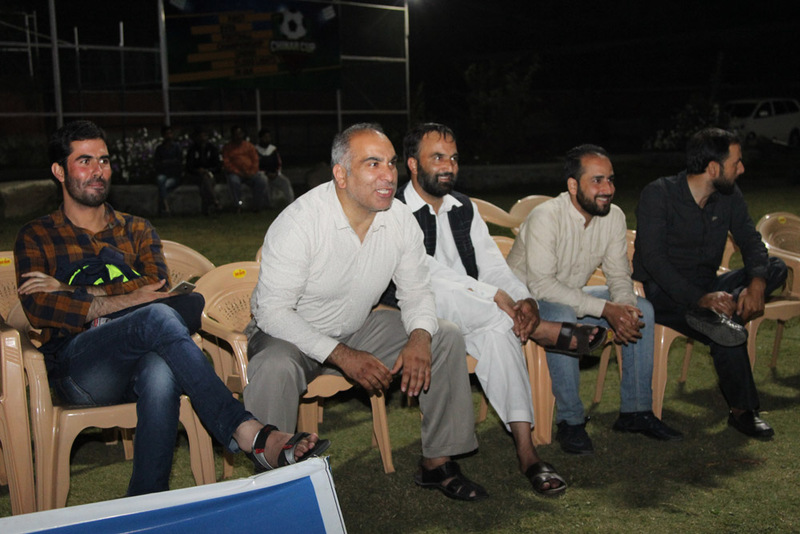 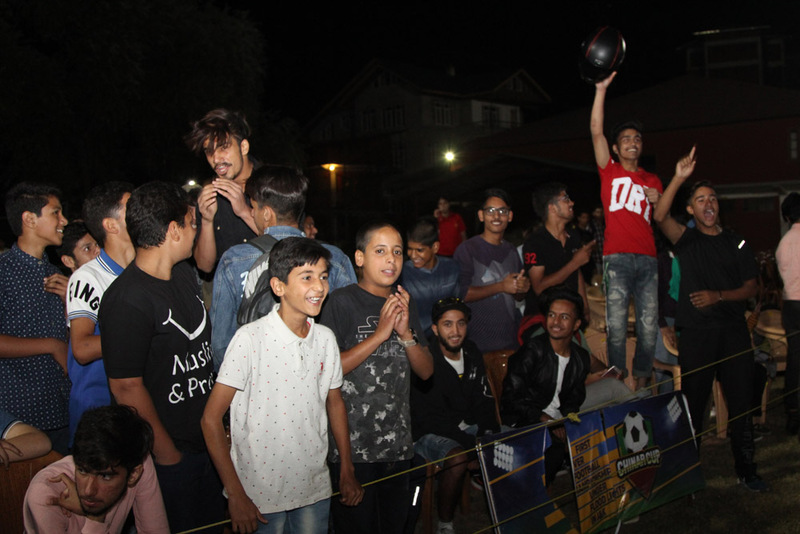 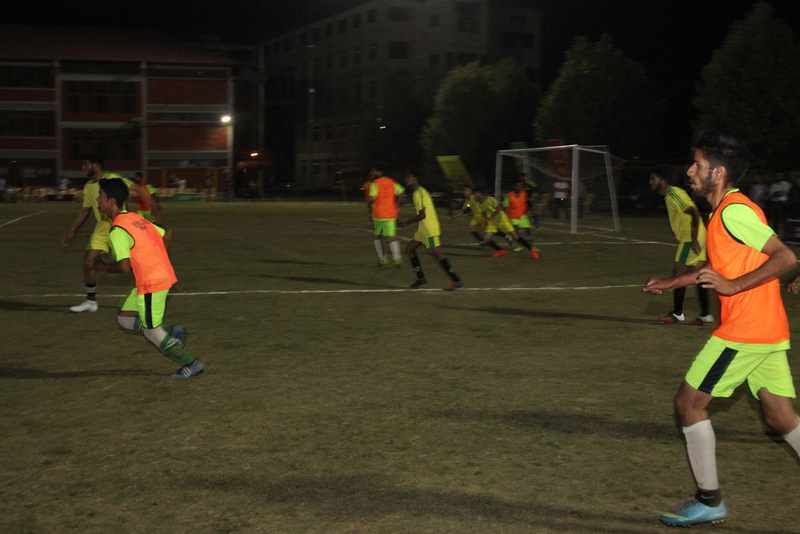 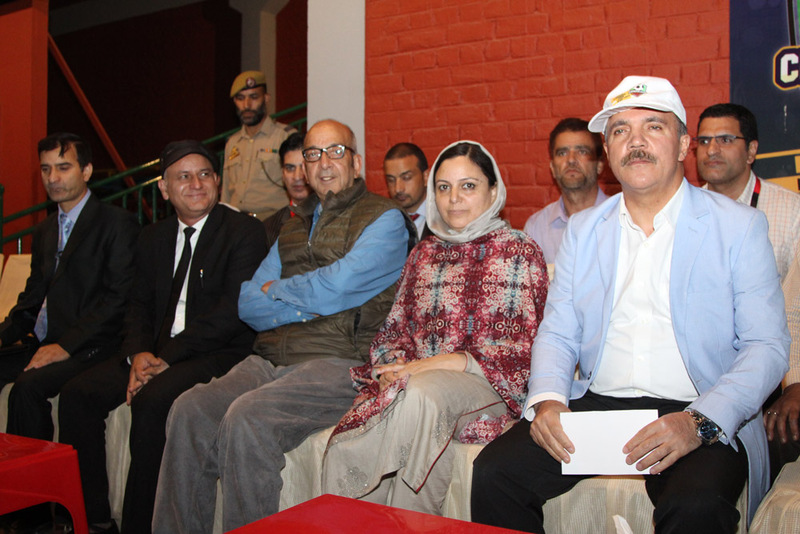 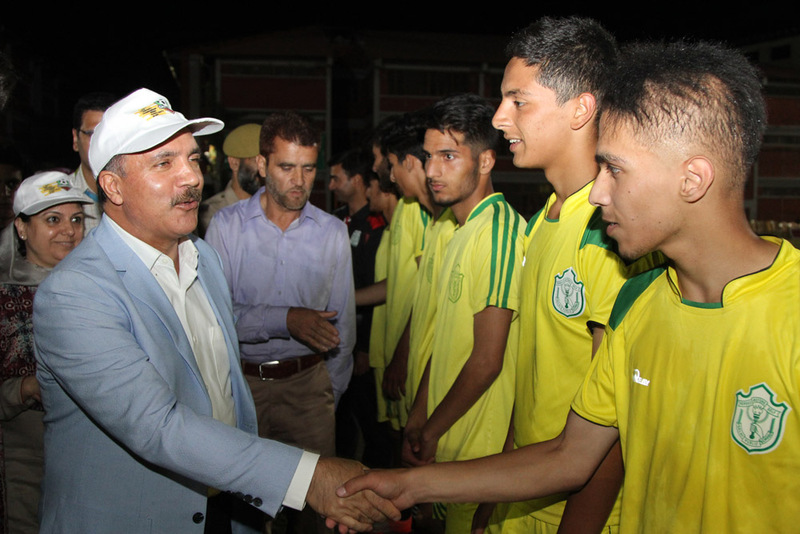 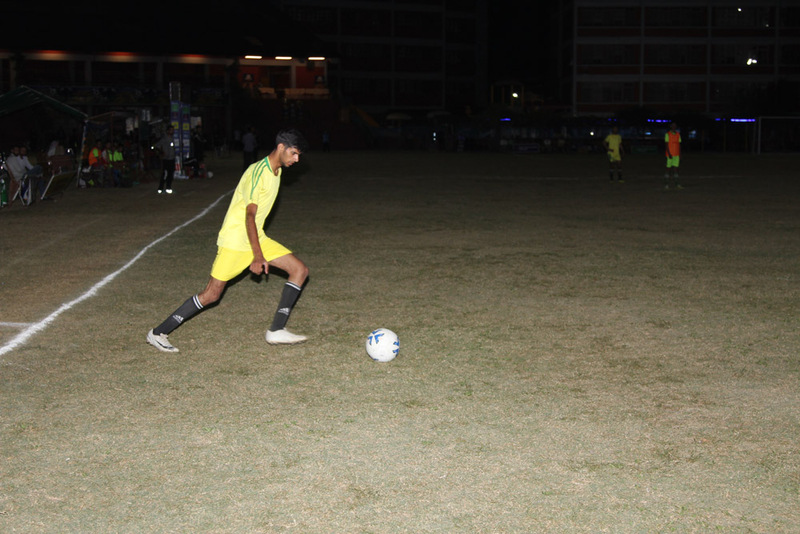 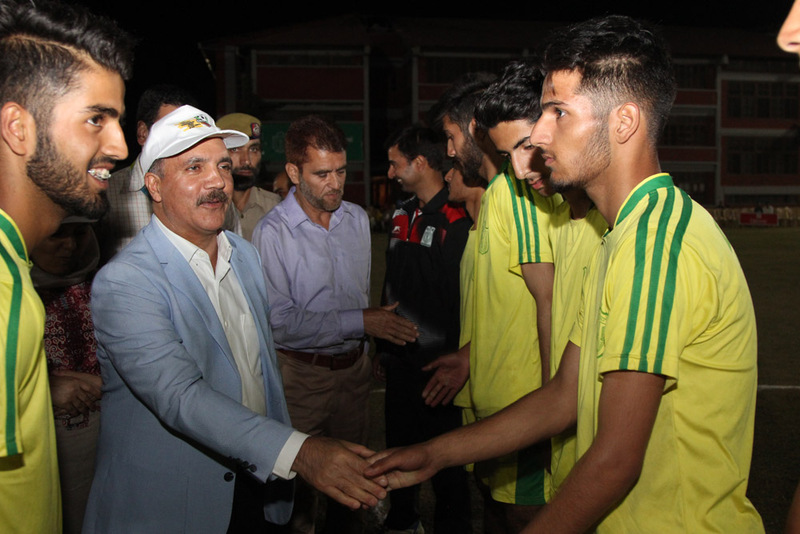 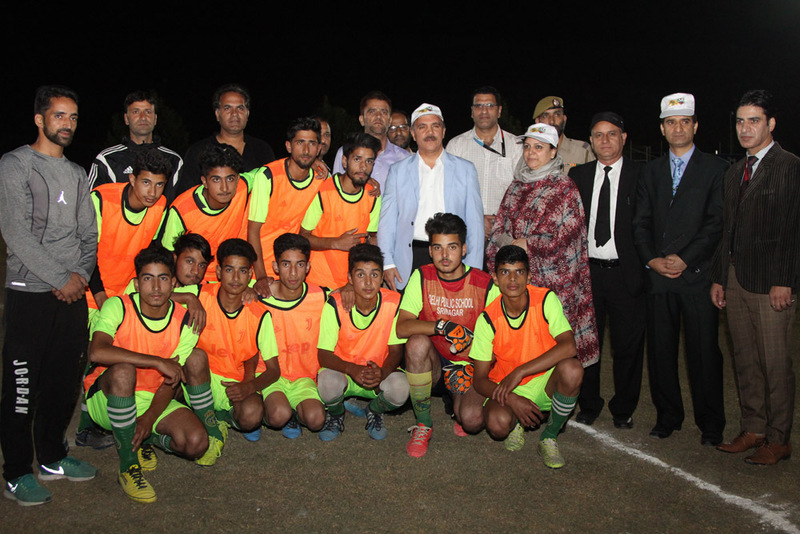 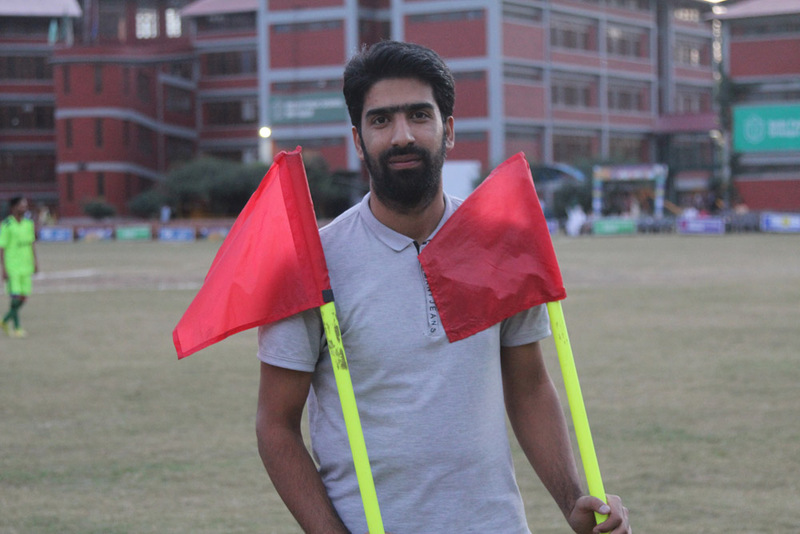 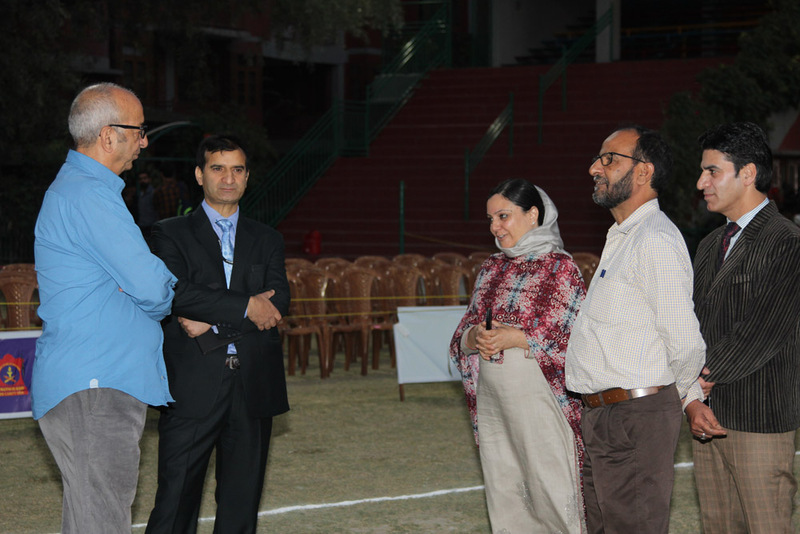 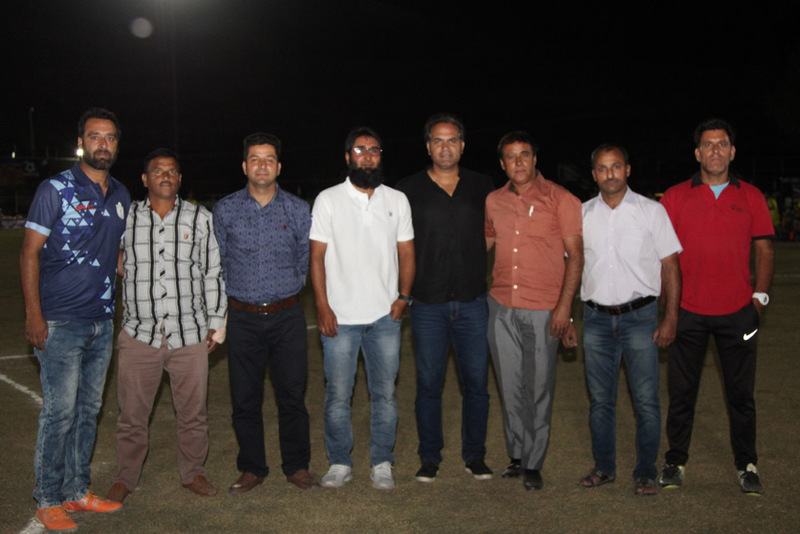 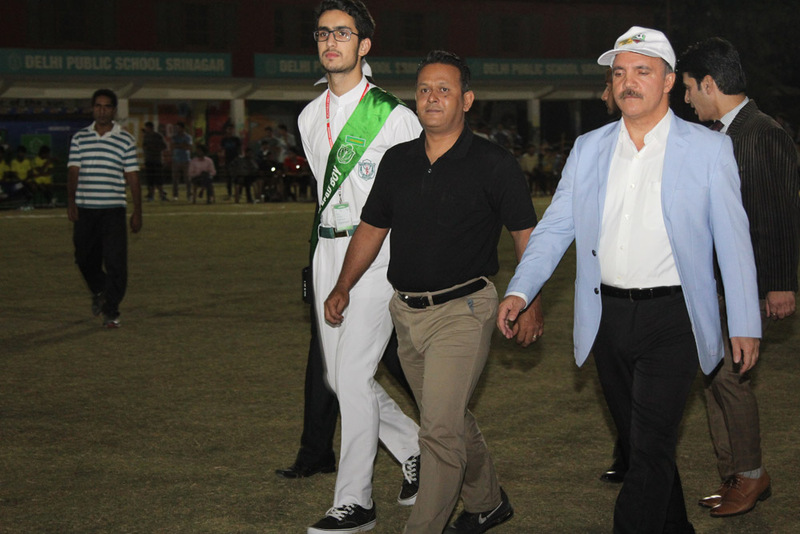 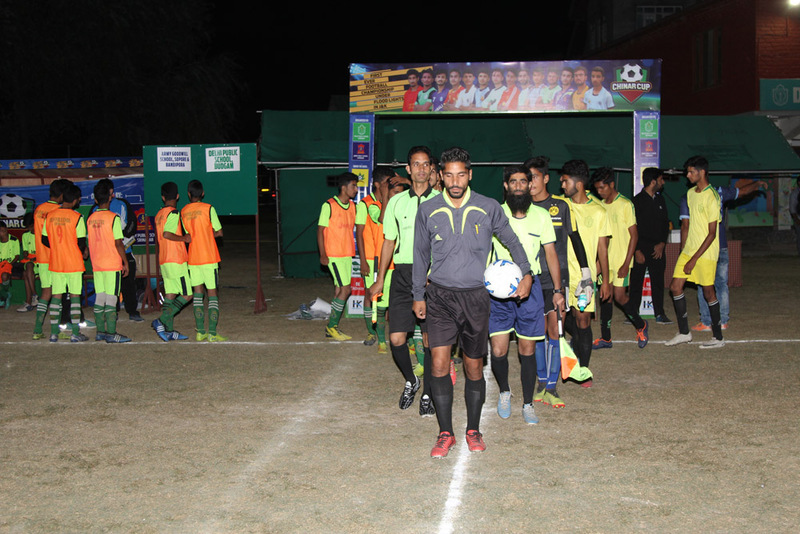 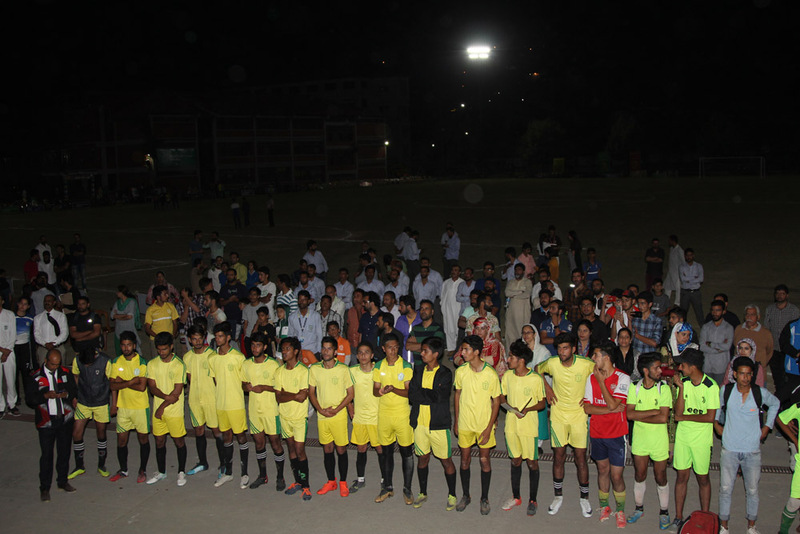 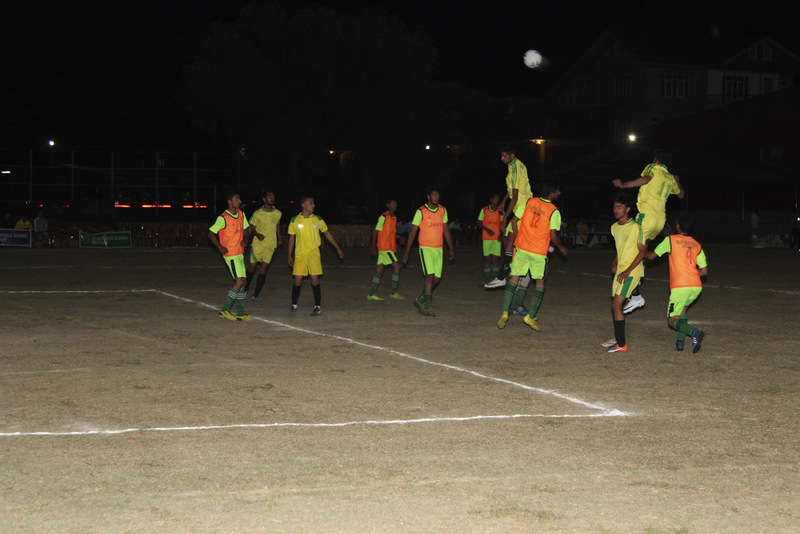 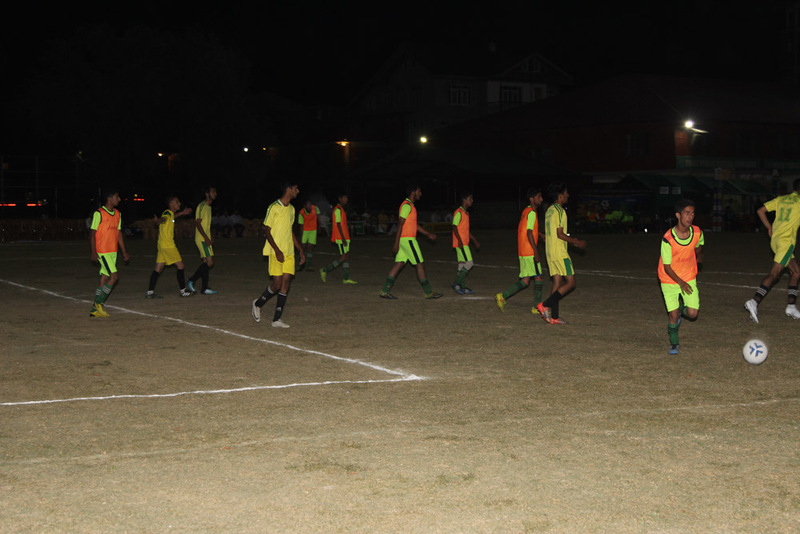 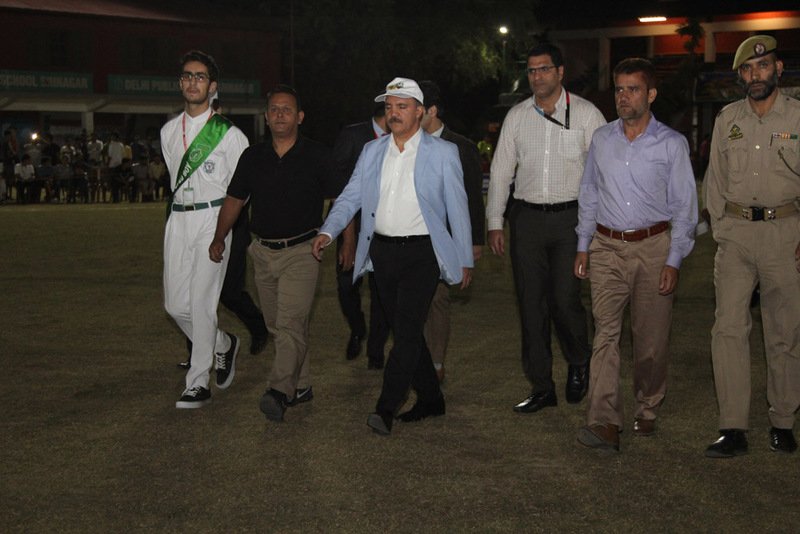 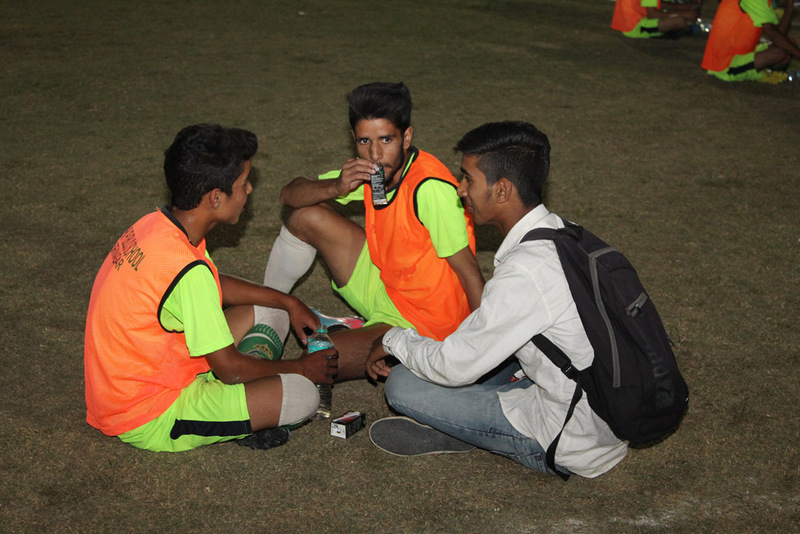 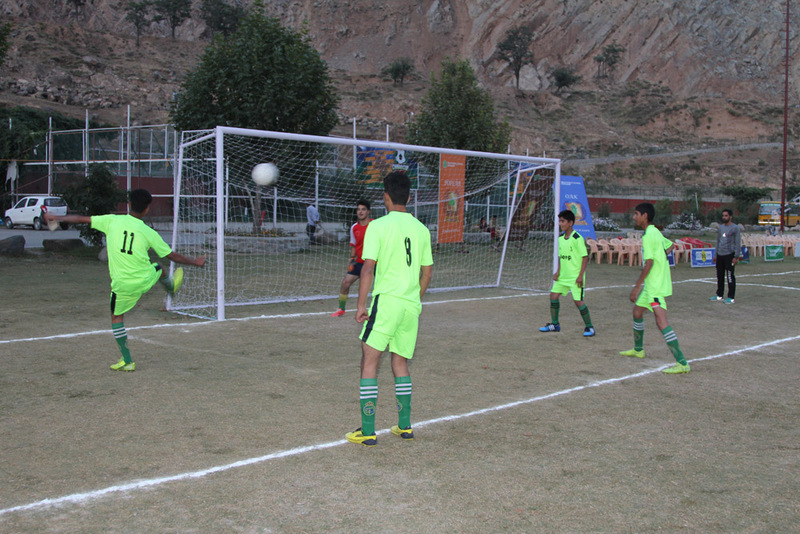 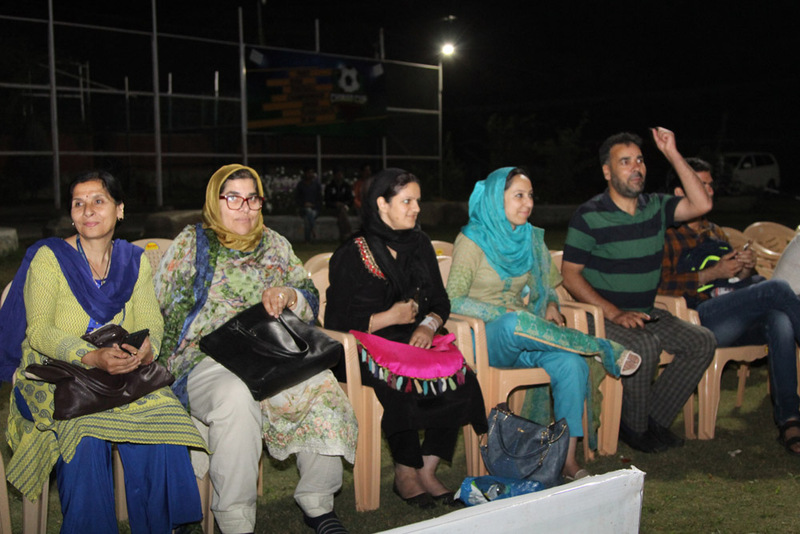 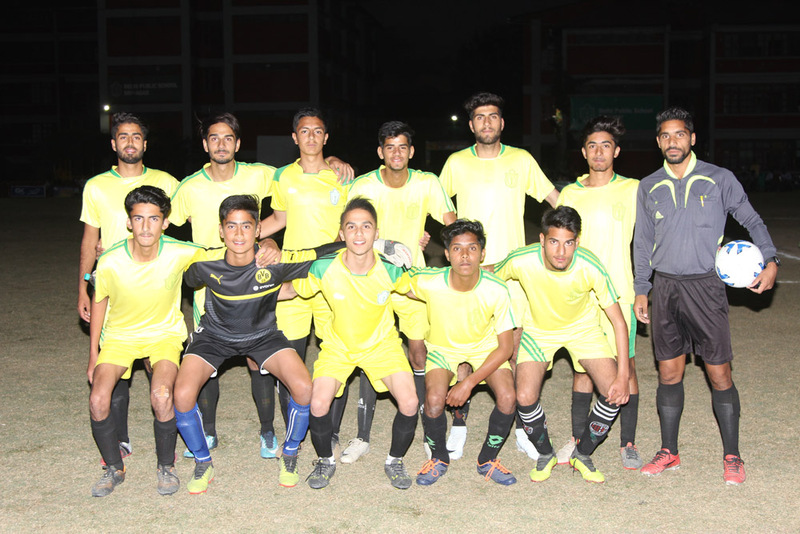 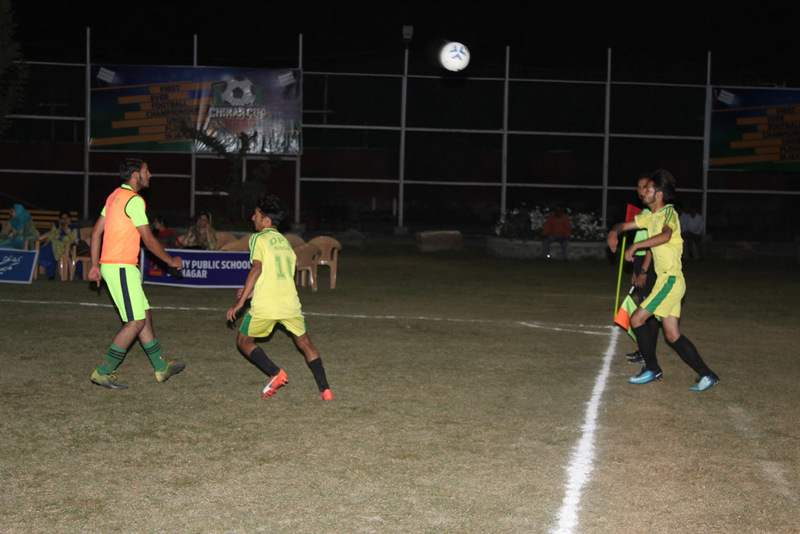 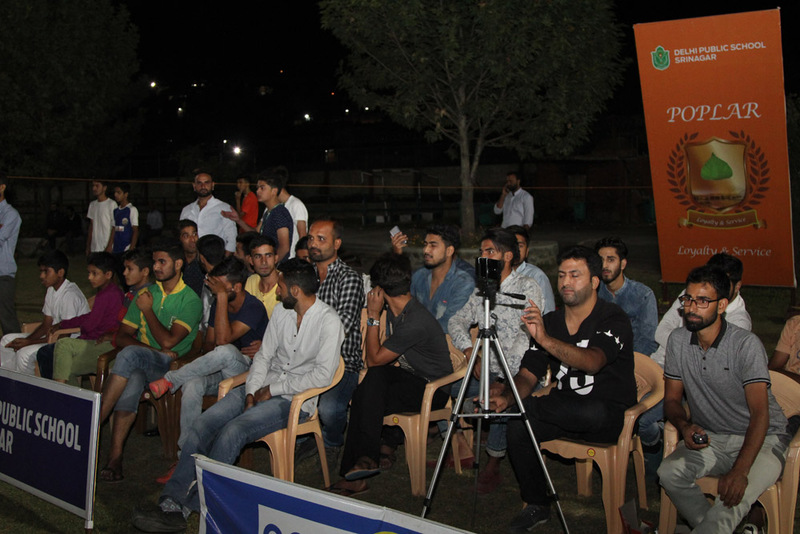 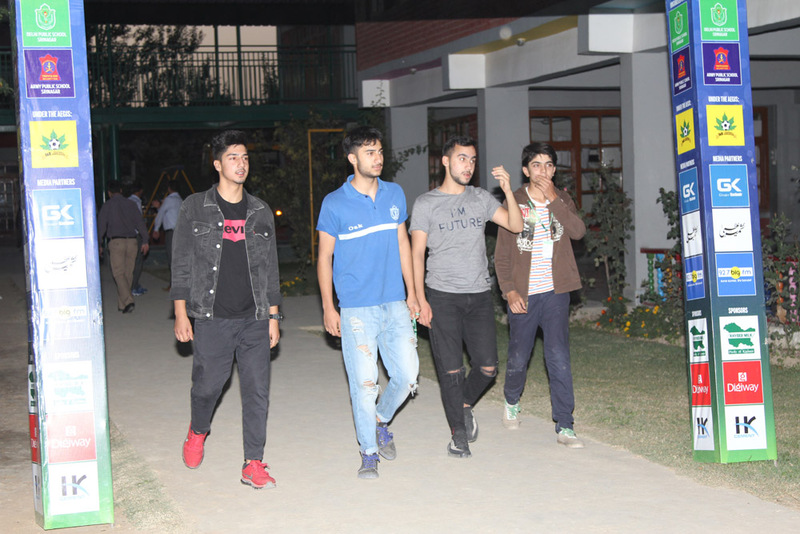 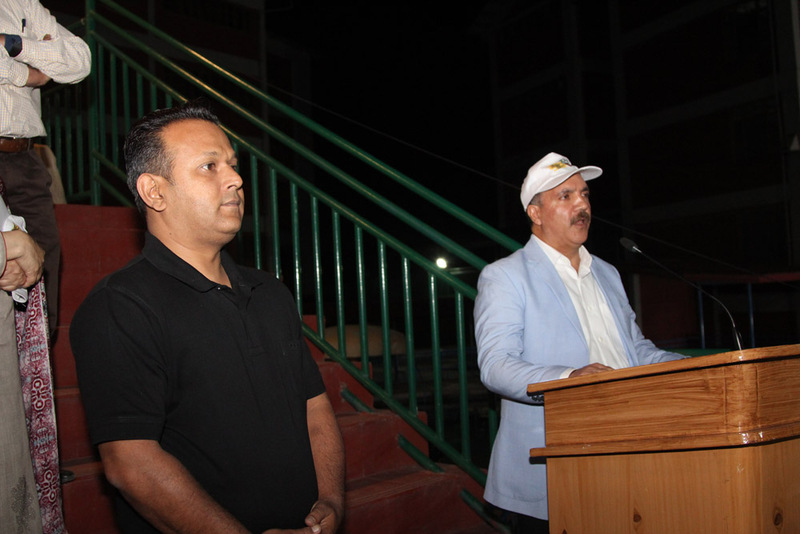 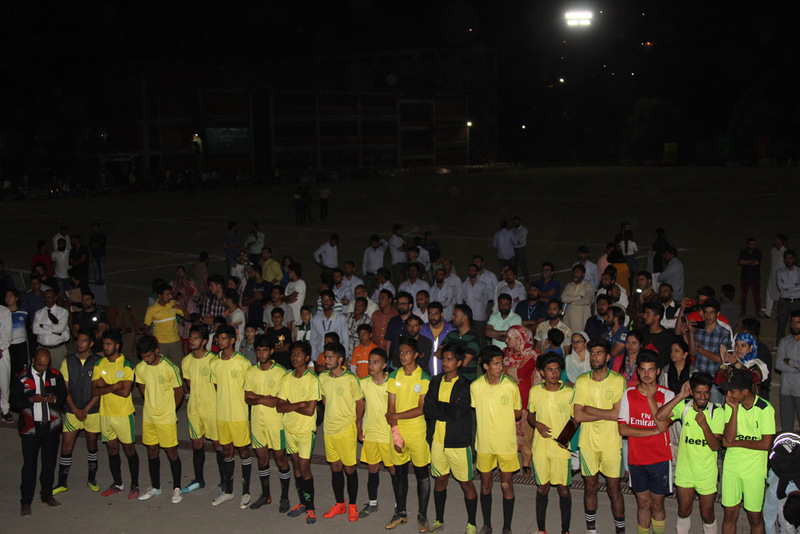 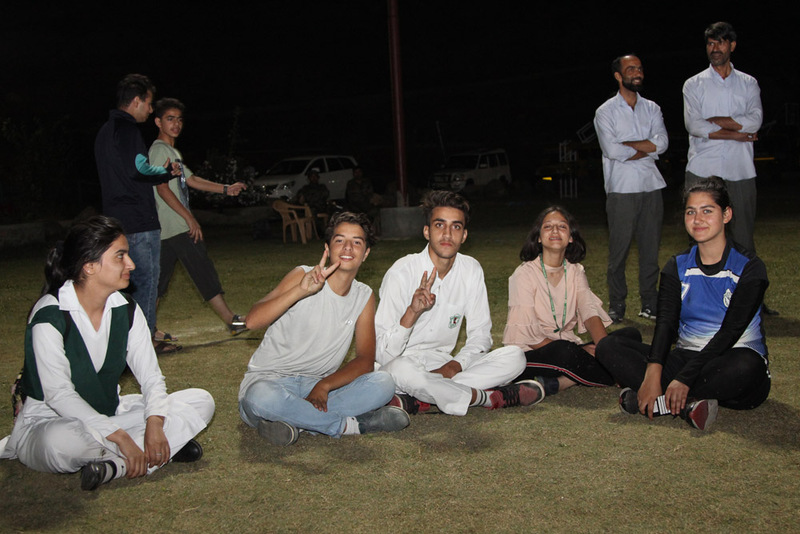 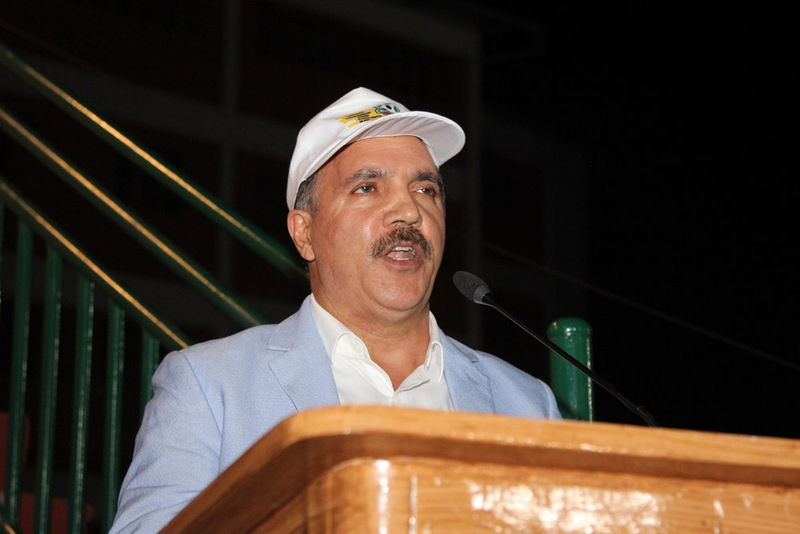 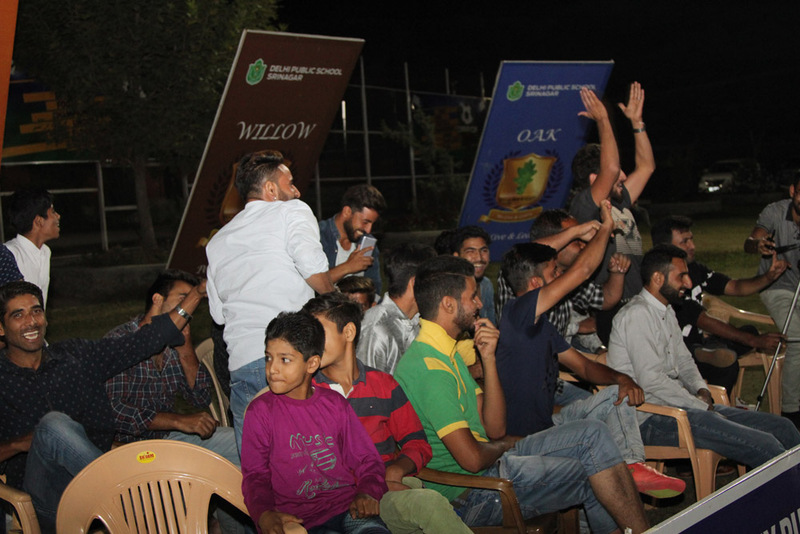 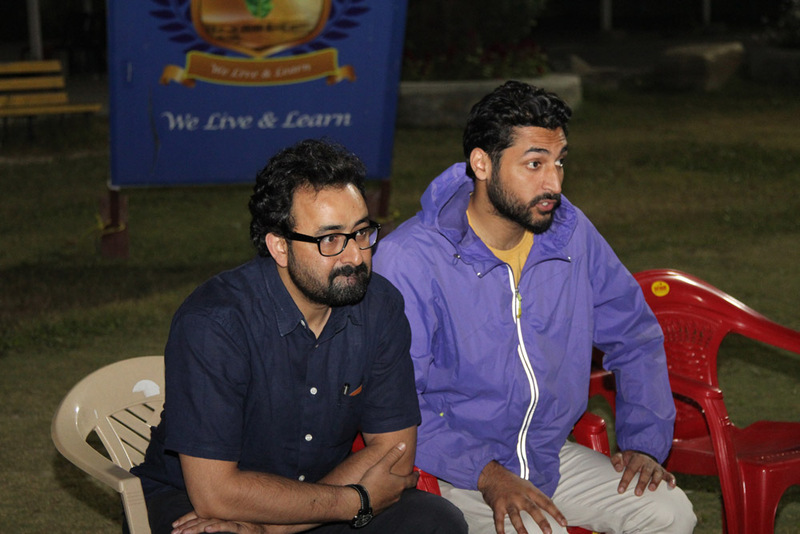 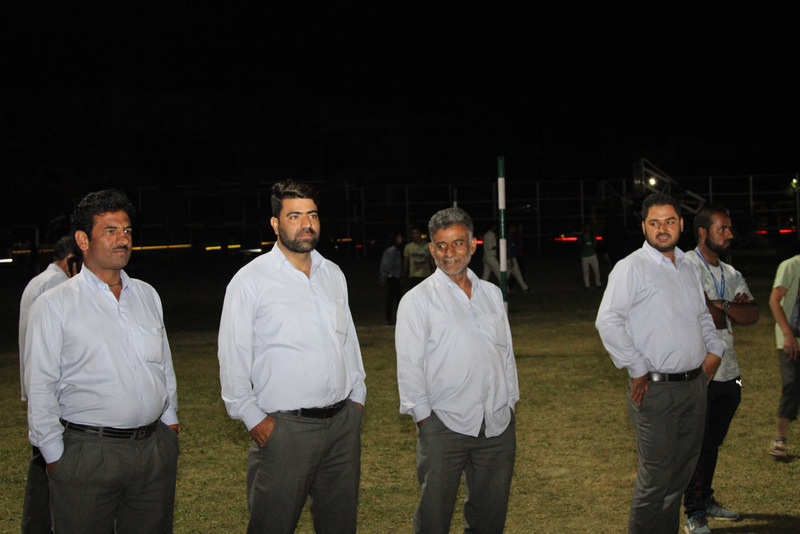 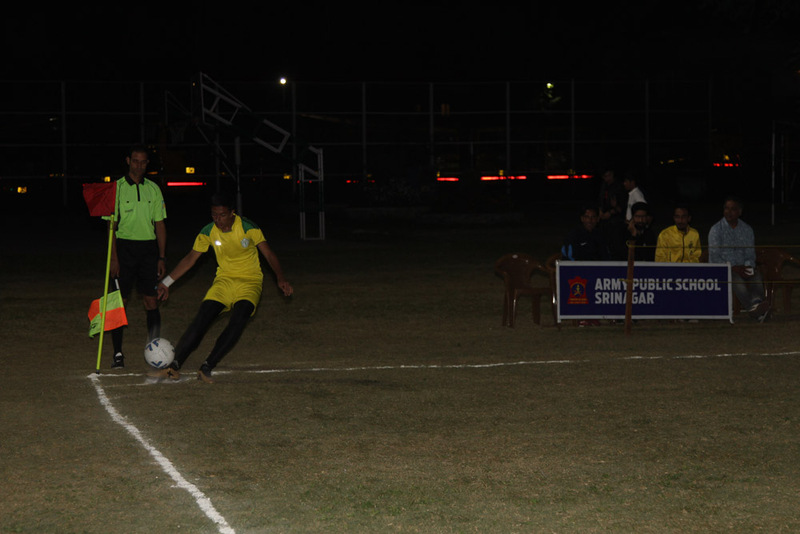 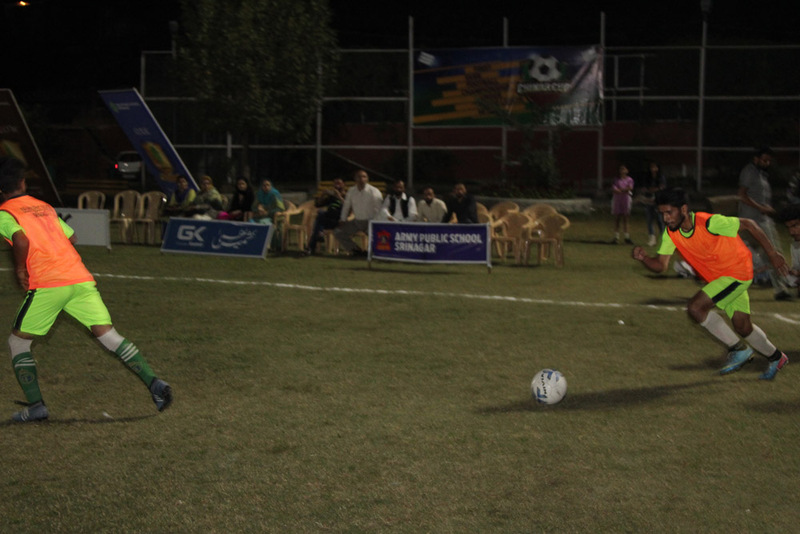 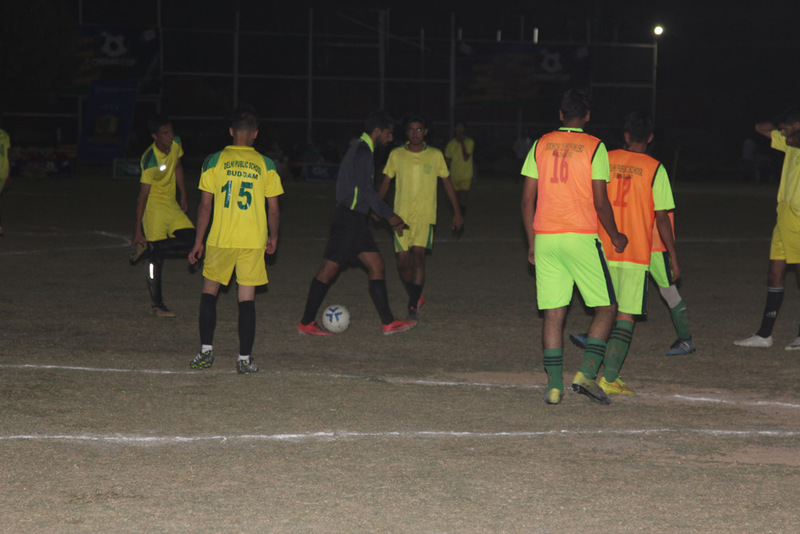 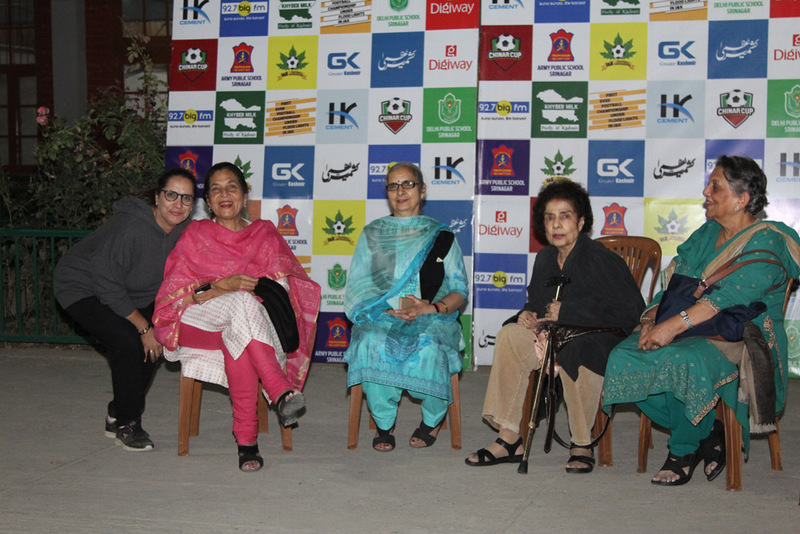 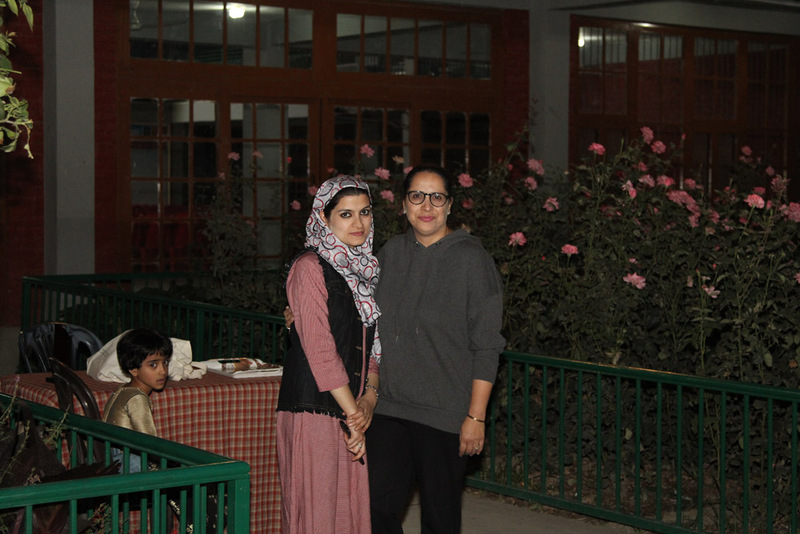 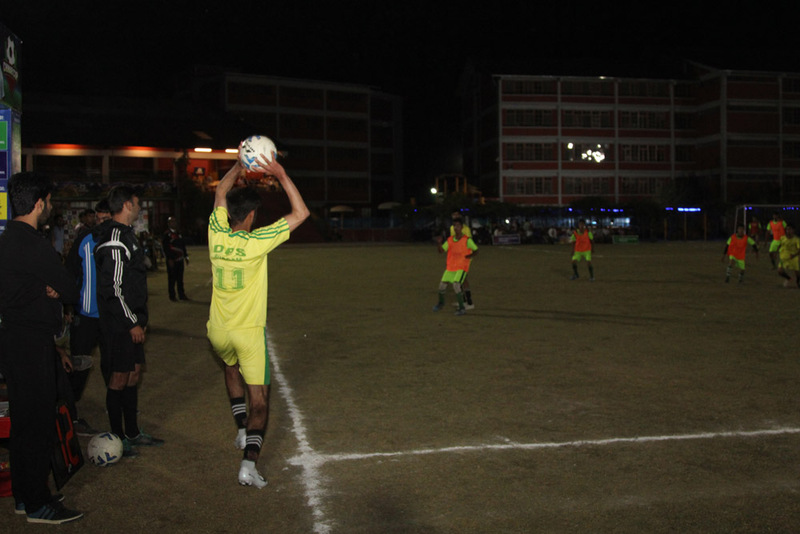 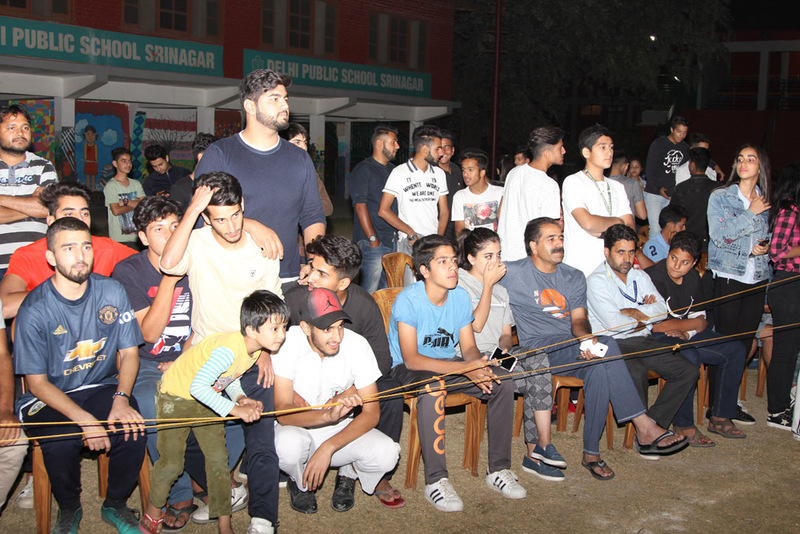 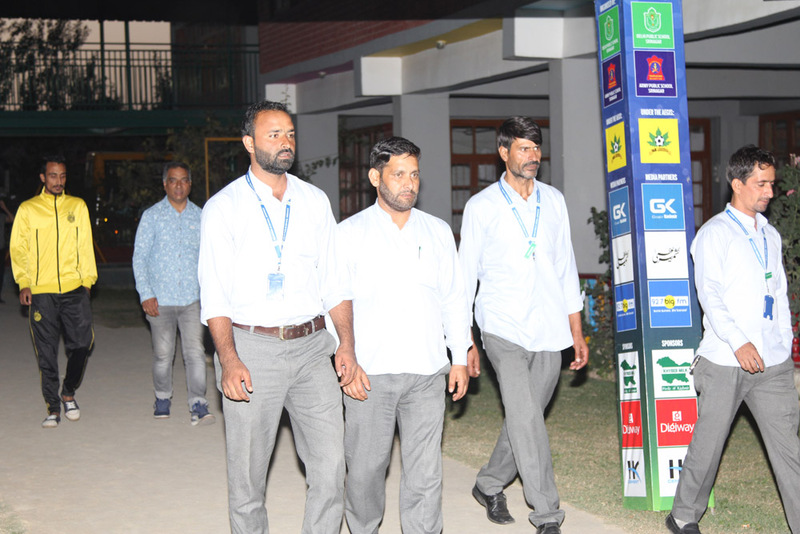 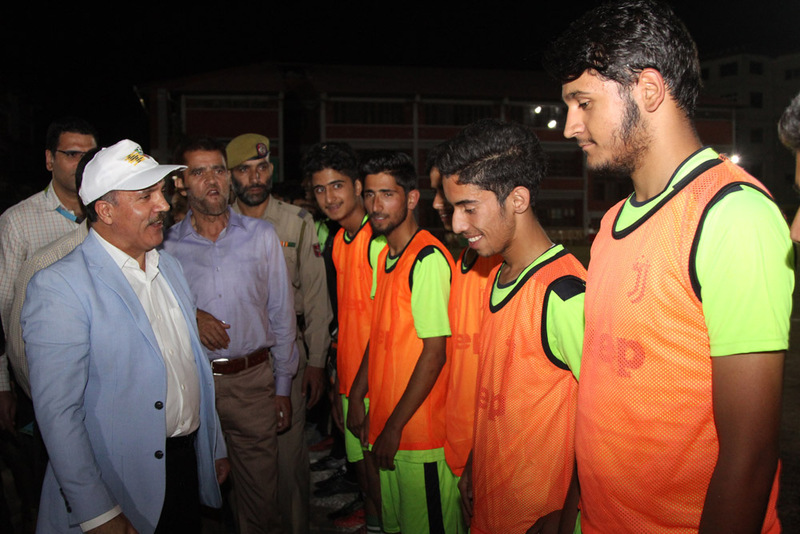 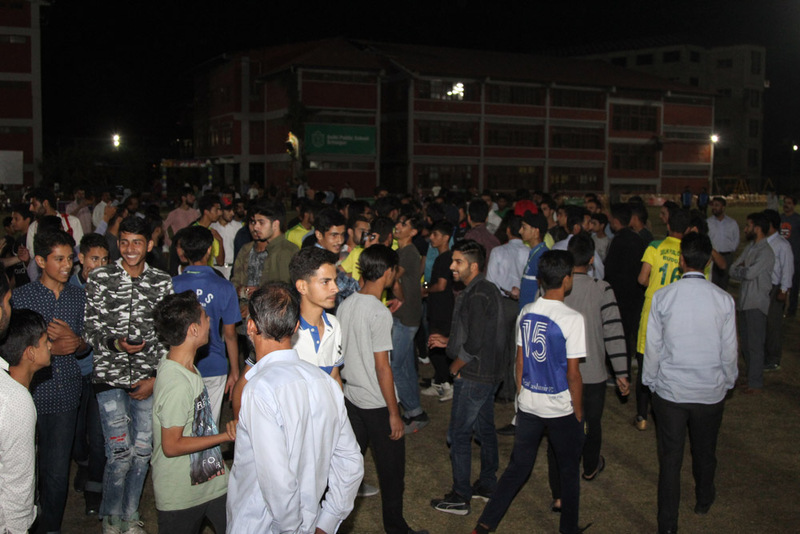 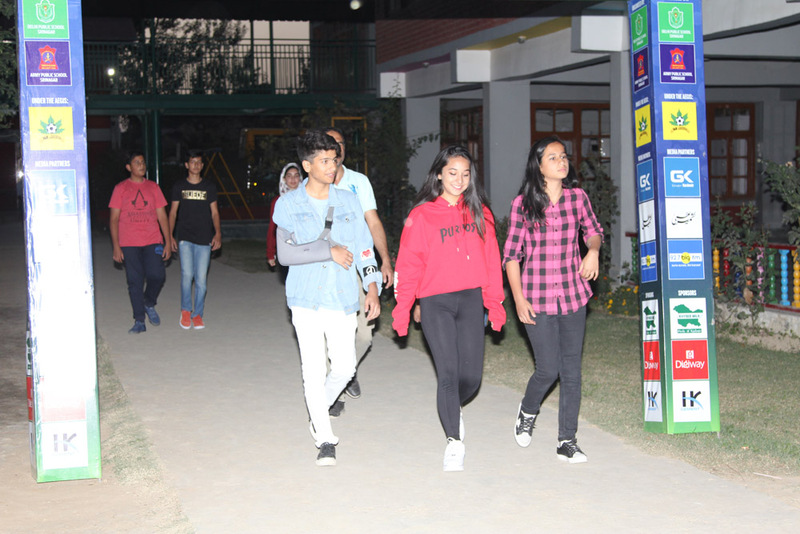 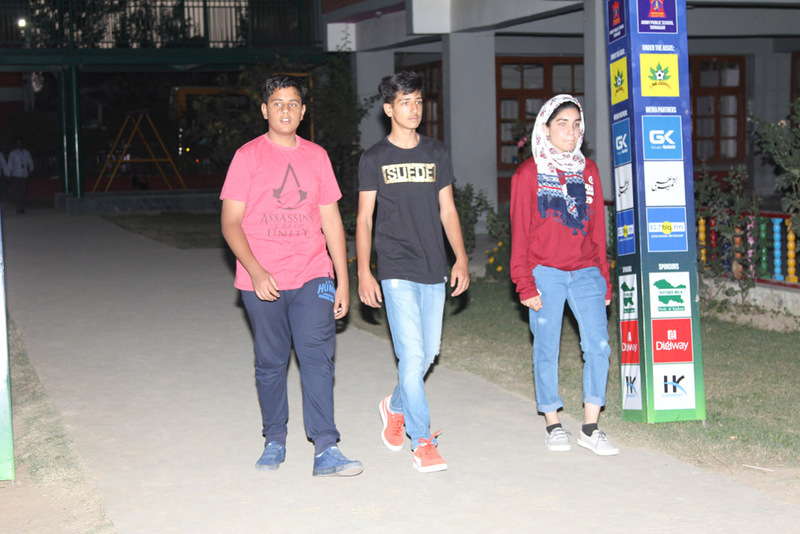 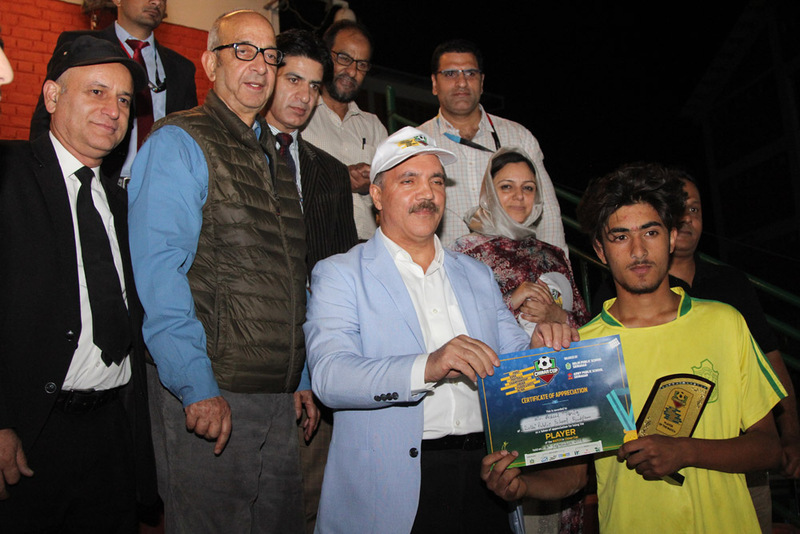 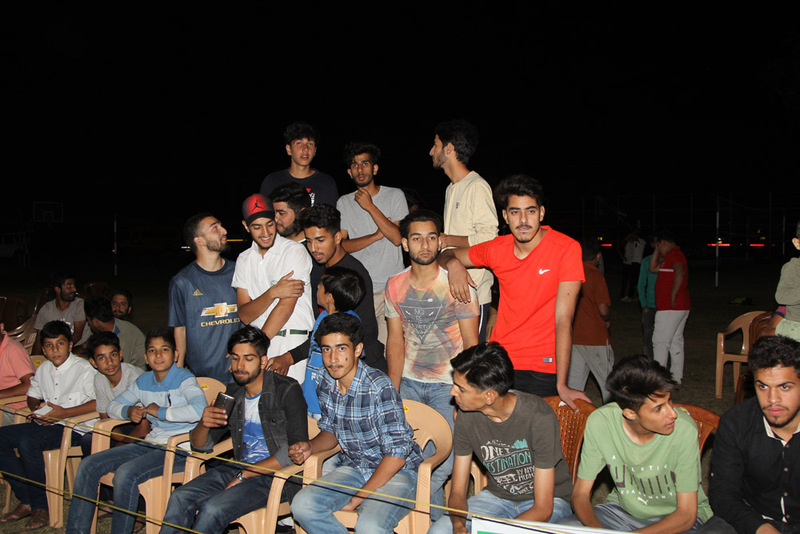 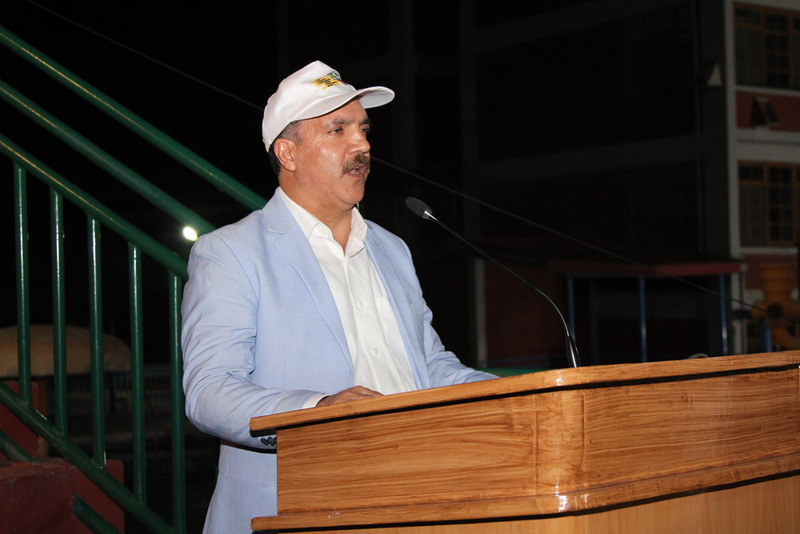 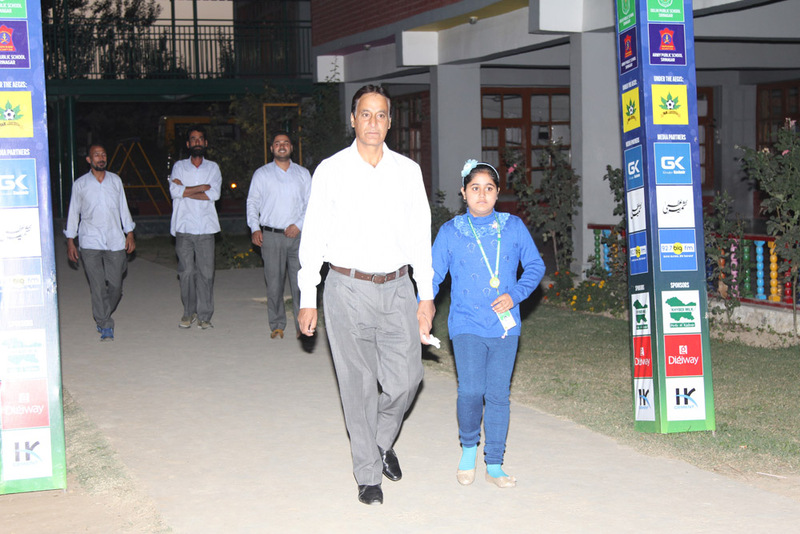 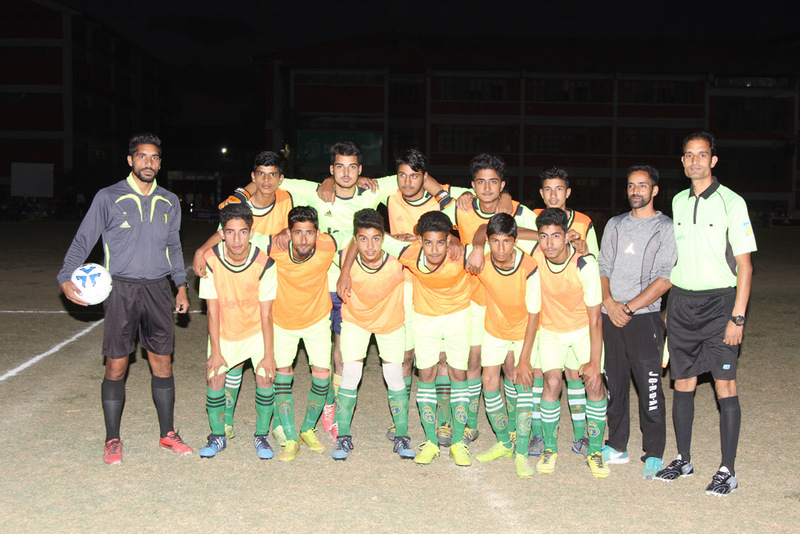 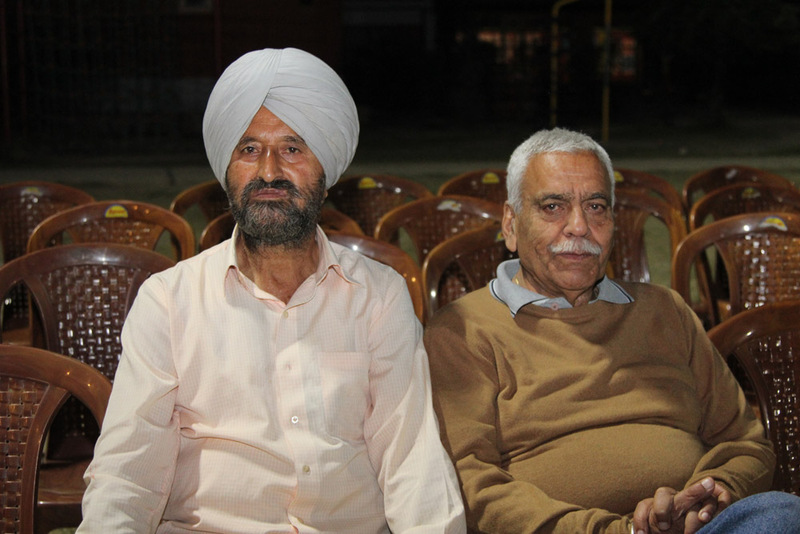 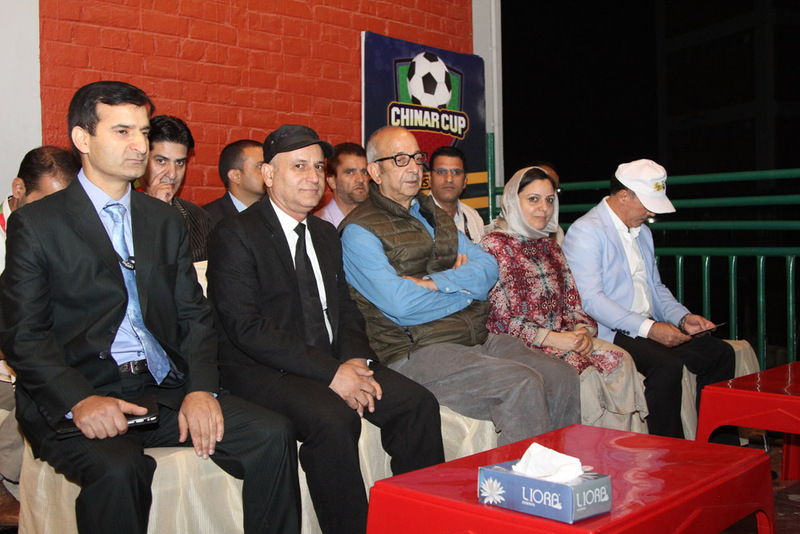 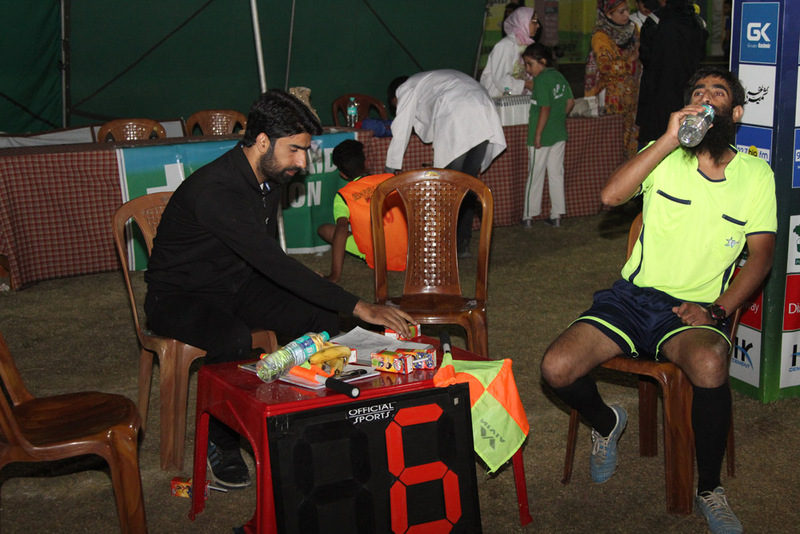 The second semifinal match of the ongoing first of its kind night football tournament ‘Chinar Cup’ J&K was held at DPS Srinagar. 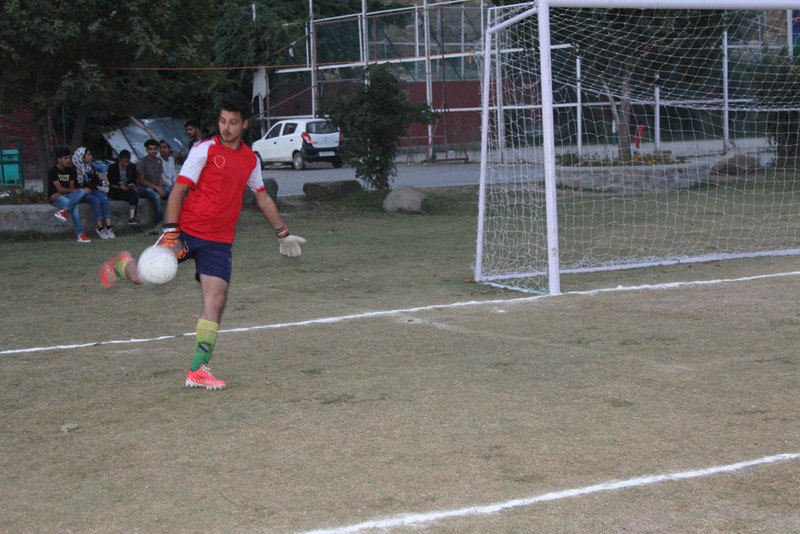 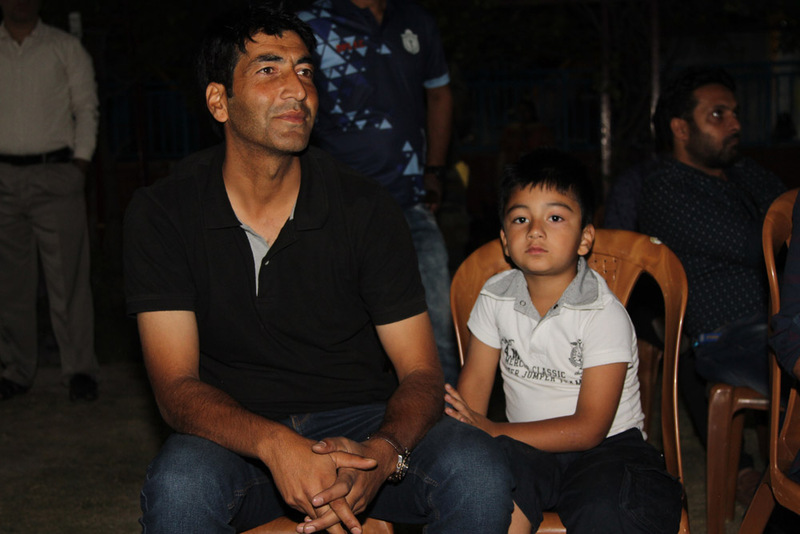 It was played between DPS Budgam and AGS Bandipore-Sopore. 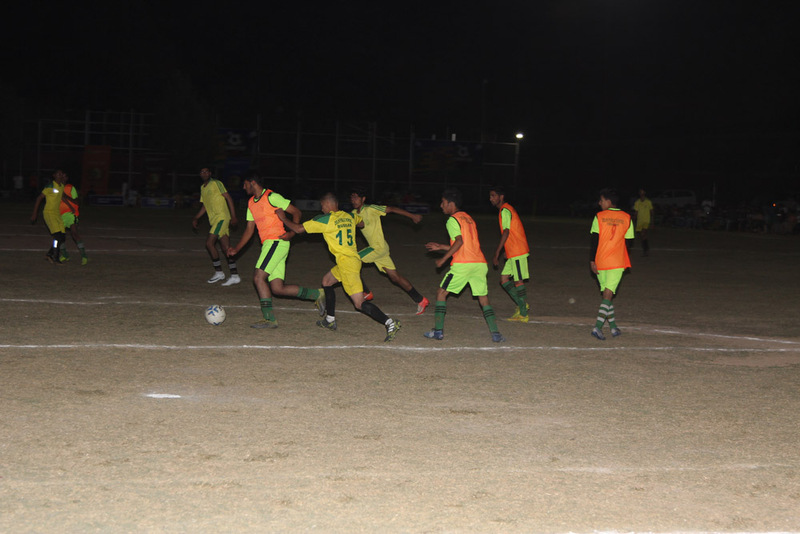 Both teams played excellent football and tried to outwit each other in the early phases. 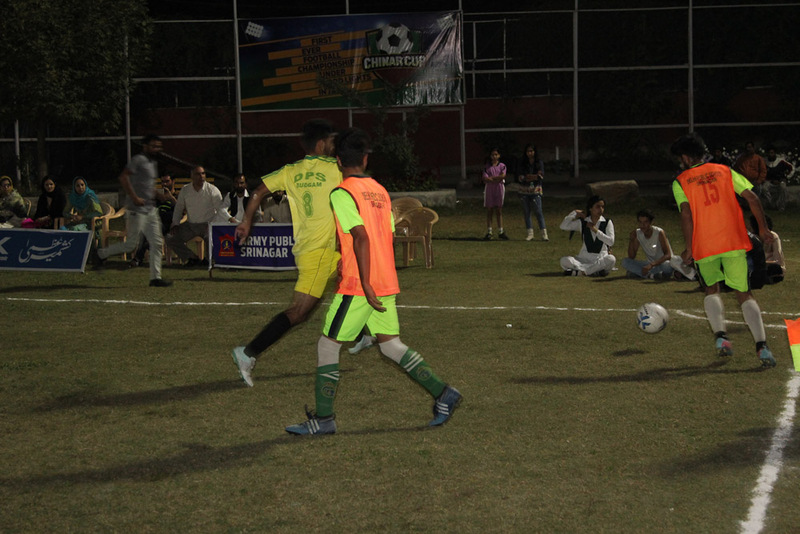 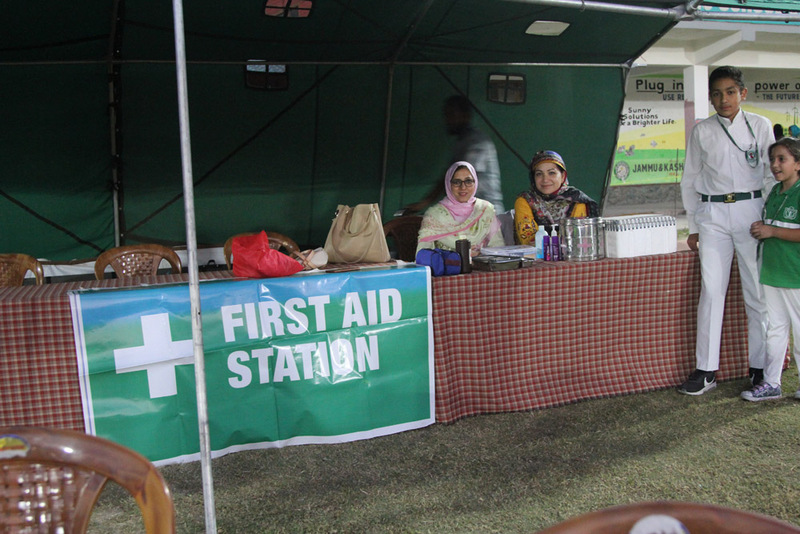 Team AGS managed to dominate the early exchanges and scored a goal in the 17th Minute. 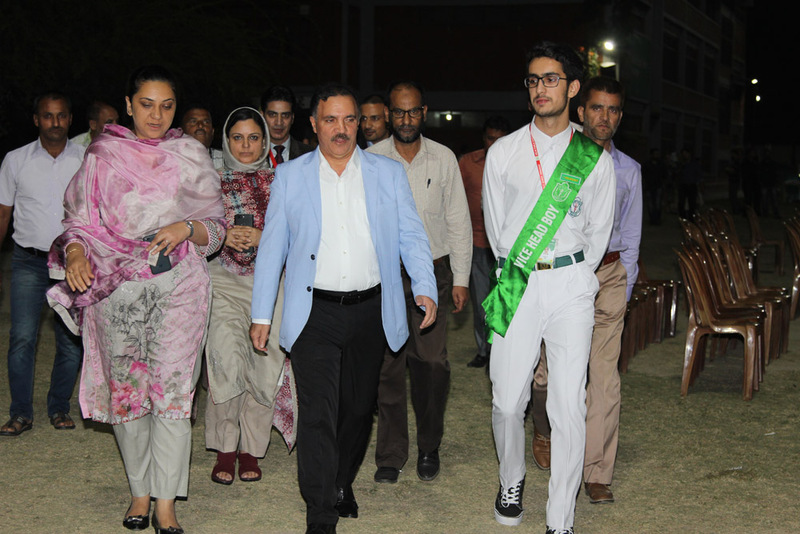 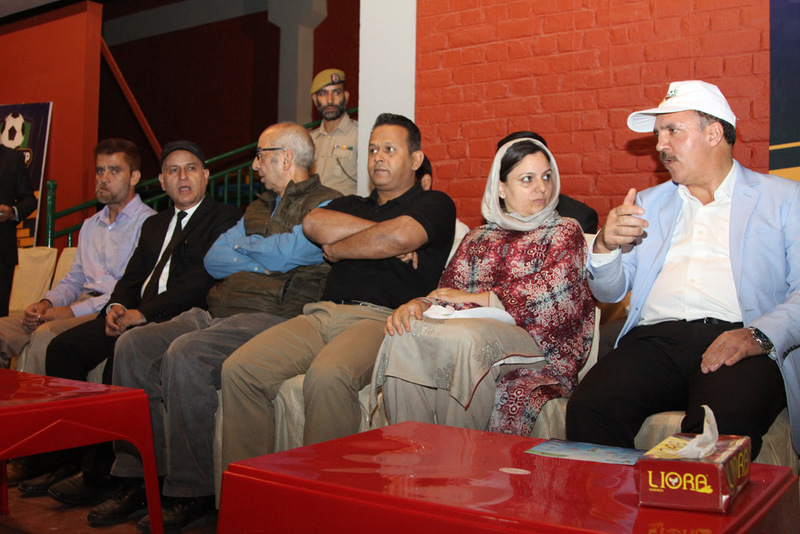 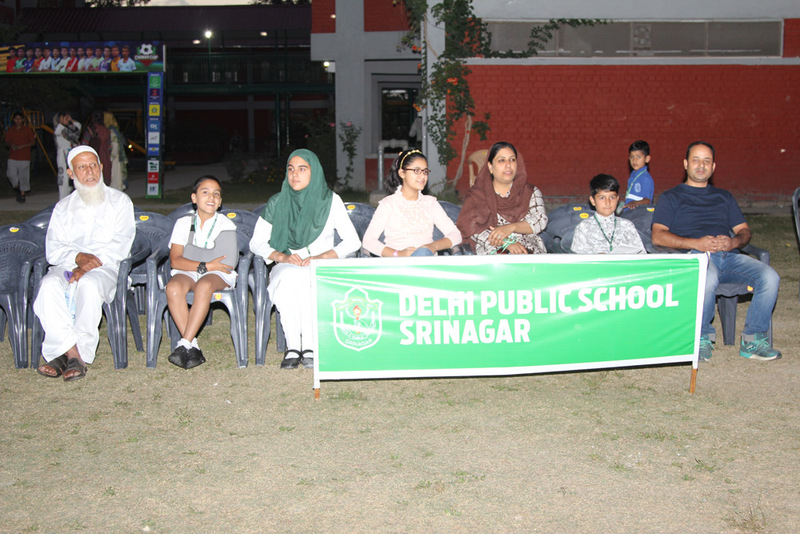 But DPS Budgam soon mounted a comeback. 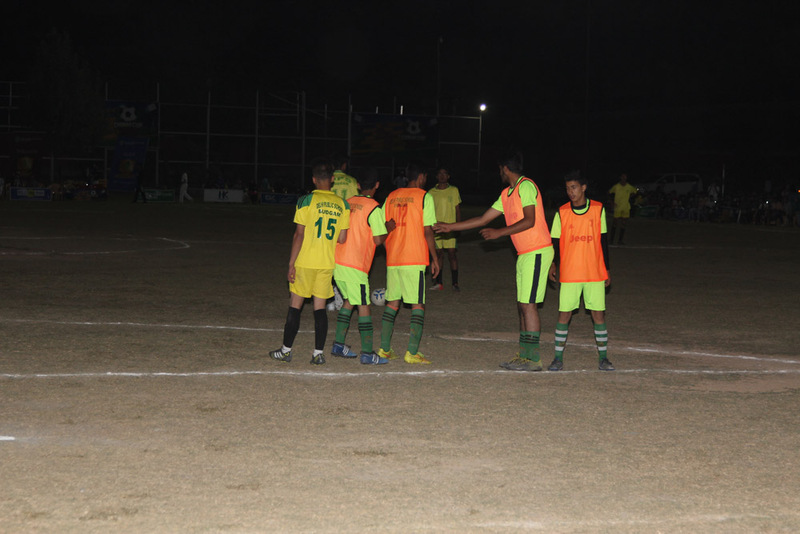 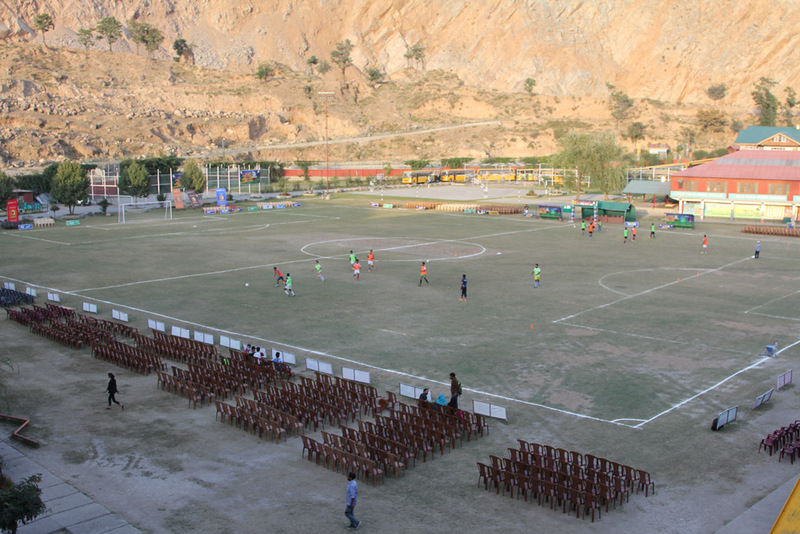 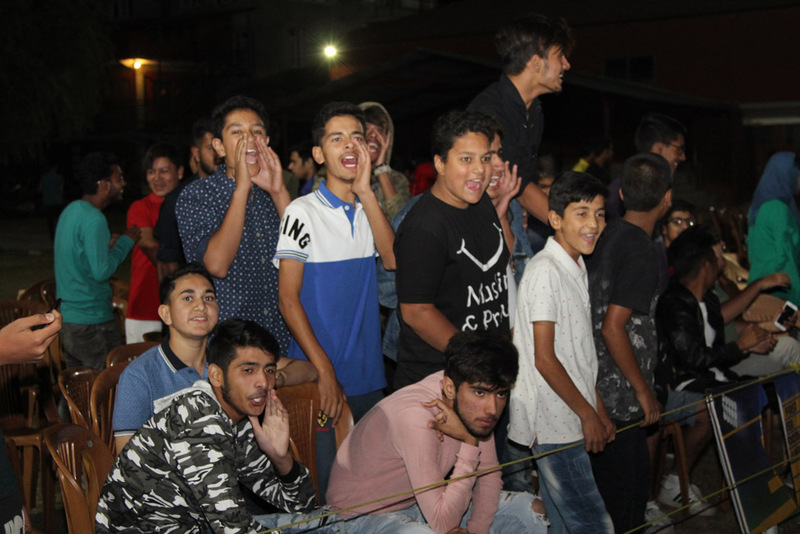 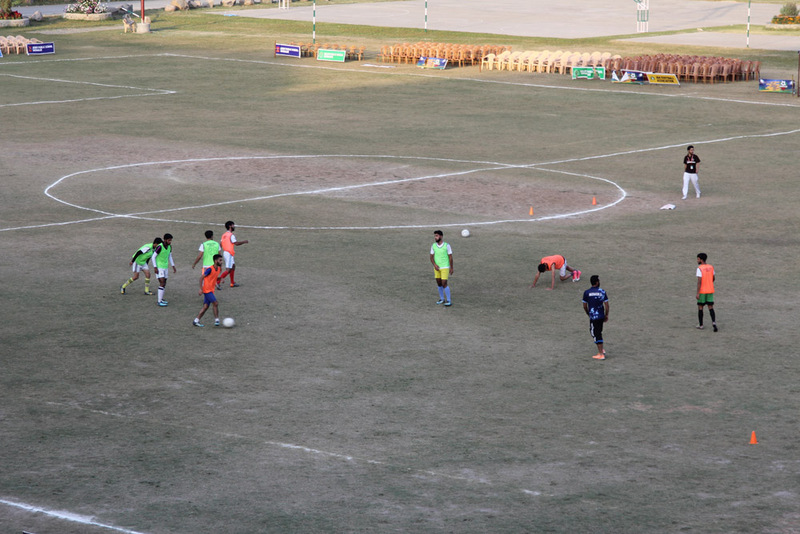 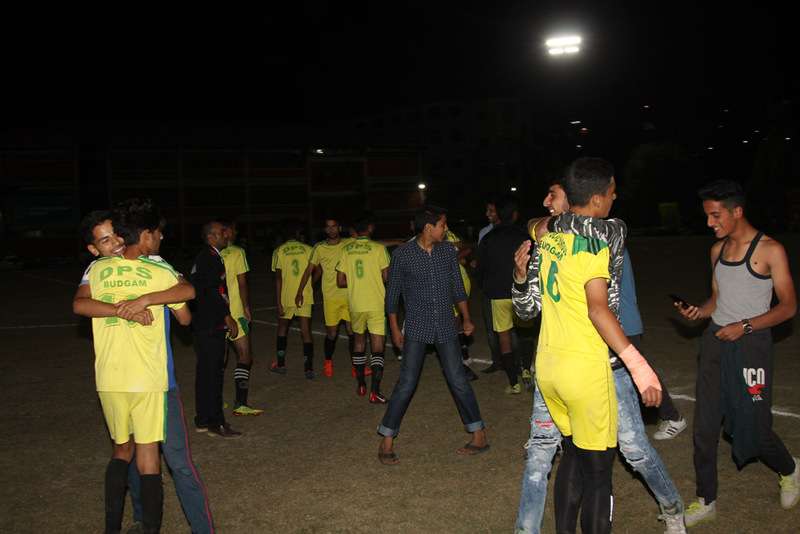 In the 18th minute itself, Adeel Tariq scored an equalizer to draw the teams level. 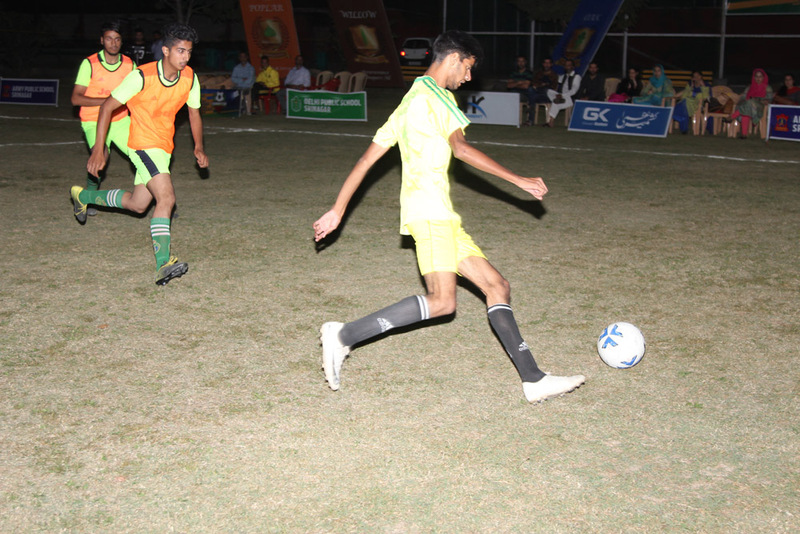 Half an hour into the match, Adeel managed to dribble past the AGS defense and scored his second goal. 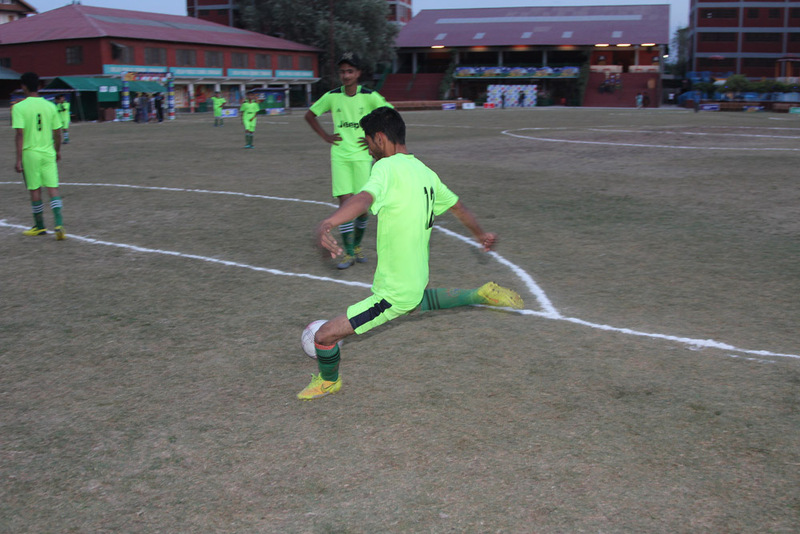 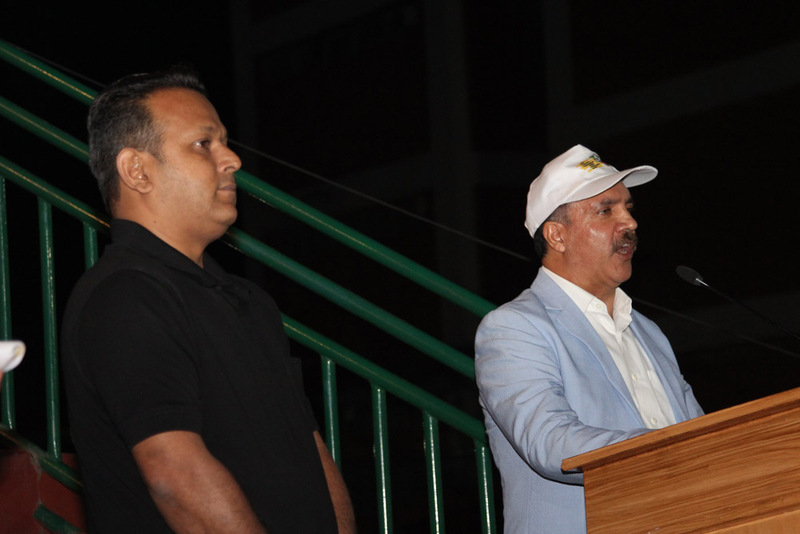 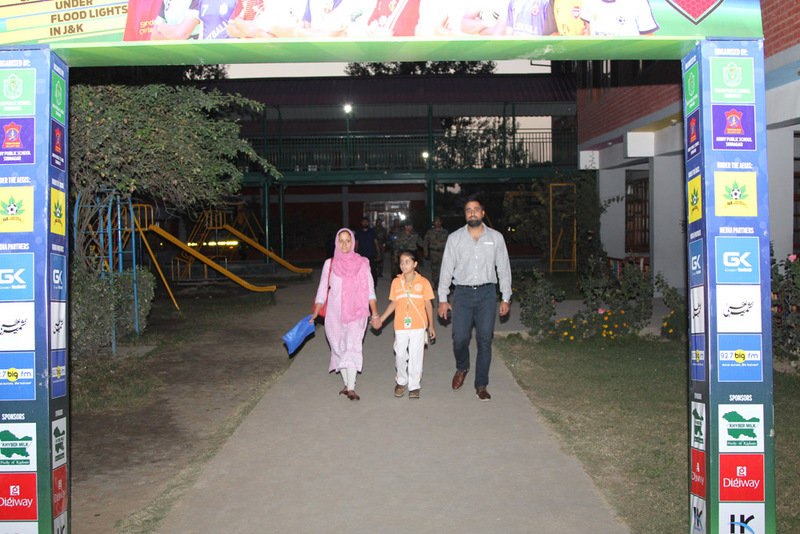 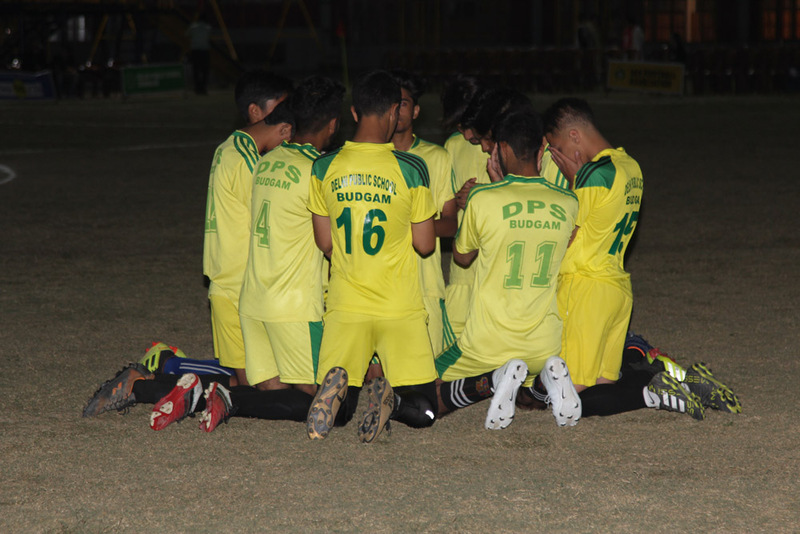 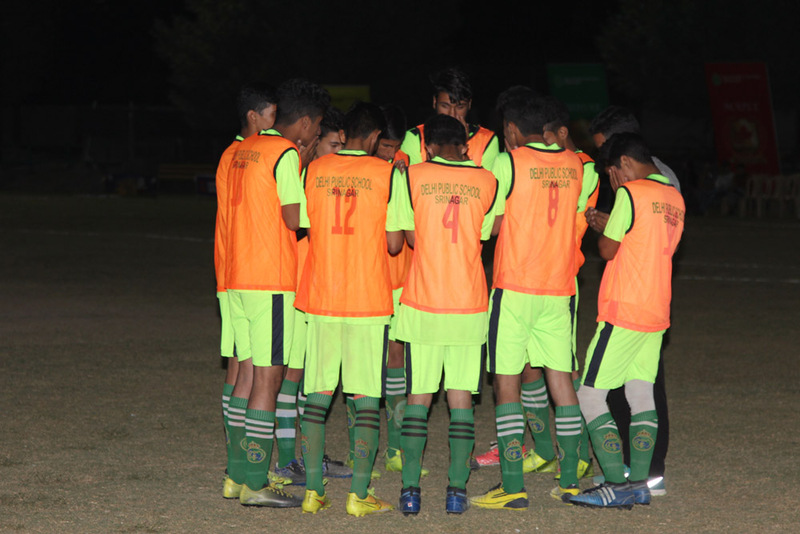 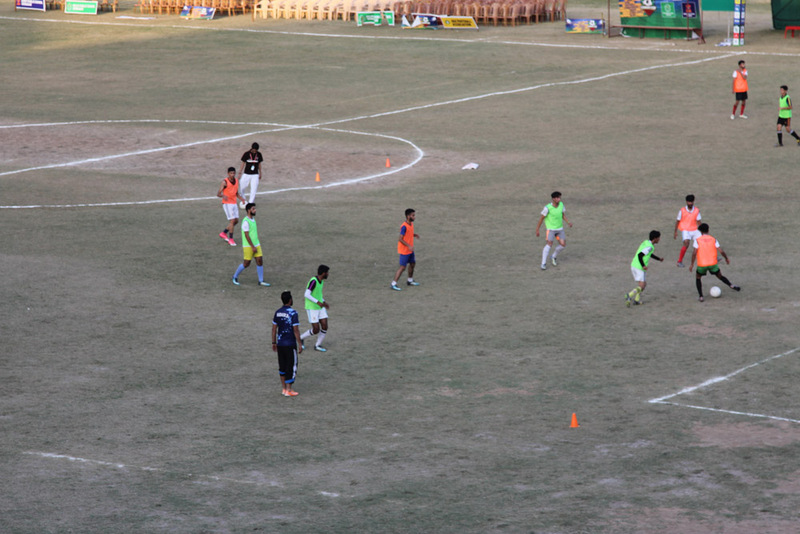 Thereafter, DPS defended its lead strongly and the match ended in their favour as they won 2-1. 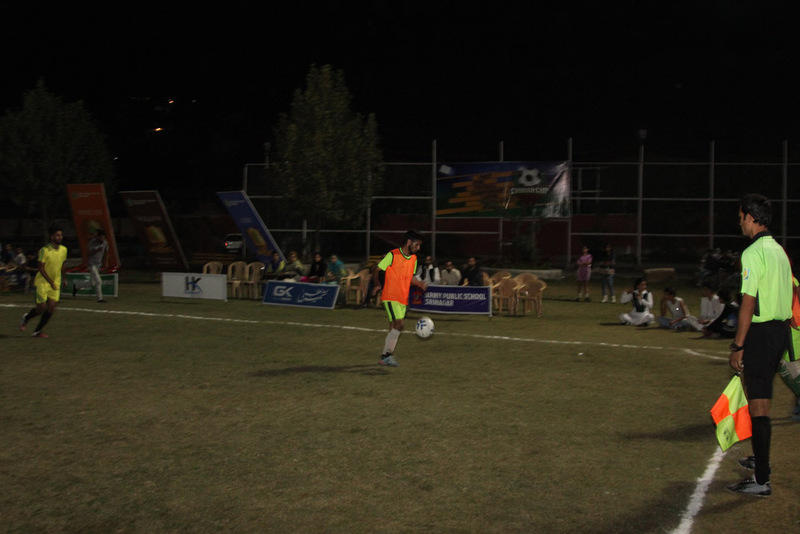 Adeel Tariq was declared the Man of the Match.